Bongfish is a pretty awesome place to work! 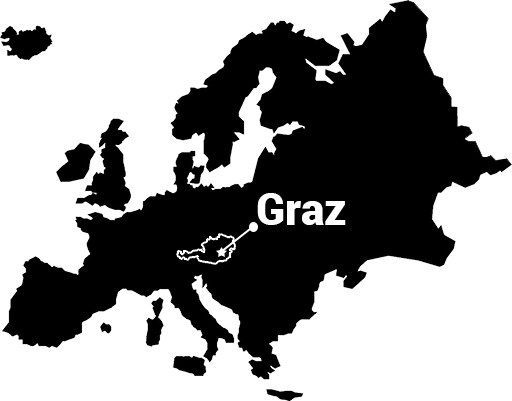 We are headquartered in Graz, Austria, in the heart of Europe. The Alps right around the corner and perfectly close to the Mediterranean Sea. Among top #5 European cities with highest quality of life. A thriving place of the creative industry, awarded with UNESCO’s City of Design. WE ARE LOOKING FOR EXCEPTIONAL TALENT TO WORK ON THE NEXT GENERATION OF VIDEO GAMES. Headquartered in Graz, Austria, Bongfish was founded in 2006 with the simple goal to craft incredible games that combine state-of-the-art technology with deep gameplay. Since then our games, including the acclaimed Stoked series of snowboarding titles and unique racing/shooter hybrid Calibre 10 series, have won millions of fans around the globe. We bring a high-tech approach to game development and have more than 10 years of experience working with some of the top game publishers in the industry on console, mobile and PC platforms. Recently we announced a partnership with Wargaming to work on the future of World of Tanks and also acquired the Smurfs Village franchise for mobile devices. The studio has grown to 75 people and we are always looking for new talent! There are currently no fitting vacancies, but you would be interested to work with us? We are always working on new projects and looking for motivated talents to join us. We also regularly offer internships or cooperations in the frame of graduate thesis. Simply send us your resume and motivation letter, and we’ll be happy to help you find the right position within our team. Do you have any question about our openings, the application process, or simply about our culture and life at Bongfish? We are happy to answer you! ← Announcing strategic partnership with Wargaming!